DESCRIPTION Brand new NuVista Home features an OPEN CONCEPT FLOOR PLAN with 3 great sized bedrooms, a convenient CENTRAL BONUS ROOM, 2nd floor laundry room, master ensuite with double vanity and a large shower. The island kitchen has a walk in pantry and is open to the great room with gas fireplace. There is a 9' ceiling, QUARTZ COUNTERTOPS, hardwood floors and a 10' x 12' rear deck. This gorgeous home COMES WITH A 10 YEAR WARRANTY AND AWARD WINNING CUSTOMER SERVICE! Home for sale at 65 Evansglen DR Nw Calgary, Alberts T3P 0P4. 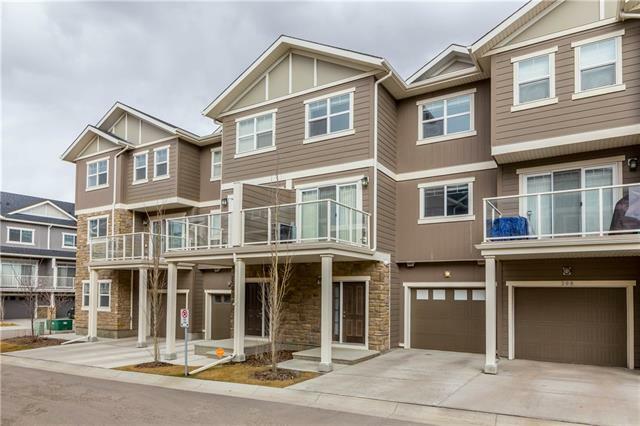 Description: The home at 65 Evansglen DR Nw Calgary, Alberta T3P 0P4 with the MLS® Number C4223504 is currently listed at $524,900.